On Wednesday, March 28, the Supreme Court will hear oral arguments in Benisek v. Lamone, a case concerning partisan gerrymandering by Democrats in Maryland (partisan gerrymandering is the process by which maps are drawn to unfairly favor one party over another). The court’s decision in Benisek and in a related Wisconsin case (Whitford v. Gill) could have a profound impact on the future of redistricting and representation around the country. What is the court going to do? The Supreme Court has suggested in the past that partisan gerrymandering is unconstitutional in theory, but has never ordered a state to remake its maps for being too partisan. That may change in just a few months. Benisek v. Lamone asks the justices if it was unconstitutional for Democrats to redraw a congressional district in Maryland specifically to boot out the Republican who had won the year earlier. As you can see in the map below, the original 6th Congressional District (blue) included almost all of the areas bordering Pennsylvania. For the new district drawn in 2011 (red), some areas along the Pennsylvania border that reliably vote Republican were cut out in the new plan, while parts of the Democrat-leaning DC suburbs of Montgomery County were brought in. The result? The Republican representative, Roscoe Bartlett, was trounced in the new district’s 2012 election by his Democratic opponent. If that sounds like rigging the system, it’s because it is. The changes to that single district had a major effect on accurate representation in Maryland. 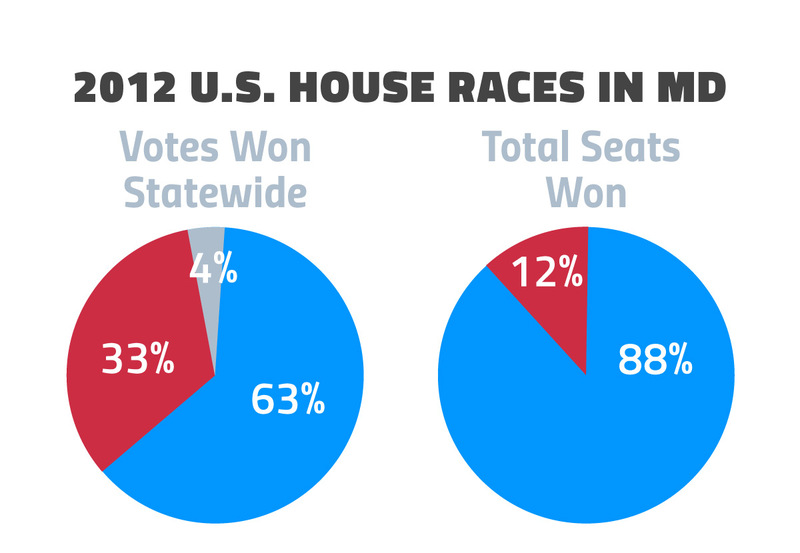 Even though Republicans won 33% of the statewide votes in 2012, they won only 12% of Maryland’s seats in Congress. Both parties engage in partisan gerrymandering because it helps them stay in power, and it’s up to us to stop this corrupt tactic. We hope the voters bringing the cases win in both Maryland and Wisconsin, because partisan gerrymandering is corrupt and erodes America’s elections and government. Letting politicians choose voters, rather than voters choosing politicians, runs contrary to the ideals of a government of, by, and for the people, and one person, one vote. When decisions come down later this year, we hope the Supreme Court says no to partisan gerrymandering, period. 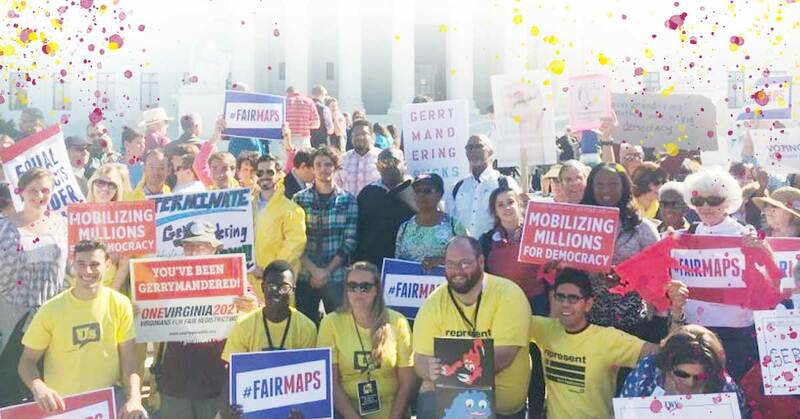 "We the people urge you to protect our right to elect our leaders by putting an end to partisan gerrymandering."